With breathtaking scenery, crisp ocean breezes and the sound of waves crashing ashore, the coast offers a romantic appeal that few other destinations can match. 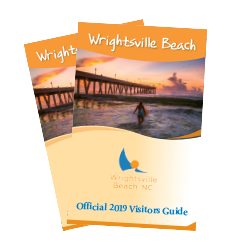 Wrightsville Beach boasts especially romantic locales, fantastic restaurants and a variety of activities for couples, making it the perfect place to take your loved one. For the poets: Visit the Wrightsville Beach Mailbox. What could be more romantic than writing a love letter and placing it in a beachfront mailbox to be kept safe for a lifetime? This fantasy is a reality at the Wrightsville Beach Mailbox, located at the north end of the beach. Walk the coastline with your loved one and make a stop at the mailbox to write your love letters; then place them inside and let Cupid take it from there. For the classic romantics: Watch the sunrise and sunset. One unique characteristic of Wrightsville Beach is that it offers spectacular views of both the sunrise and sunset. Head to the beach in the early morning hours to catch a breathtaking sunrise with your loved one. Later, treat him or her to a romantic dinner on the Intracoastal Waterway, where you can take in the sun setting over the sparkling water. For the movie buffs: Visit Wrightsville Beach’s filming locations. Many TV shows and movies have been filmed at Wrightsville Beach, including Dawson’s Creek, One Tree Hill and the popular Nicholas Sparks movie, “The Choice.” Take your special someone to Dockside Restaurant and Bar, a local hot spot overlooking the Intracoastal Waterway that was featured in “The Choice,” or stroll on the beach below the Crystal Pier, where the opening credits of Dawson’s Creek were filmed. 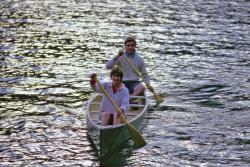 For the outdoorsy couple: Spend some time on the water. For an adventurous daytime date, rent a kayak or canoe at one of Wrightsville Beach’s many rental locations and enjoy some quality time together. 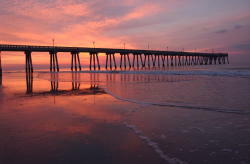 The Wrightsville Beach area offers several waterways that you can explore while taking in scenic views of the coastline. If you and your sweetie have never kayaked or canoed before, you can take a quick lesson together and get out on the water in no time. For the foodies: Dine at a romantic restaurant. Wrightsville Beach has a colorful culinary scene, featuring everything from casual beachfront cafes to high-end restaurants. For a memorable date night, take your loved one to one of Wrightsville Beach’s waterfront restaurants, such as Oceanic, Bluewater Waterfront Grill or South Beach Grill. All offer the freshest seafood, delicious cocktails and beautiful views of the water.